For over 35 years David Rodigan has been the top dog in the ganja-scented, bass heavy-atmosphere of Britain’s reggae dance-halls. The key to his success has been an unsinkable passion for reggae music, which first took a hold of him as a schoolboy when he heard ska music in the early ’60s. He developed an obsession with the music of Jamaica that generated an encyclopaedic knowledge of the island’s every artist, every song and every rhythm track. His earliest experience of dee jaying was during lunch breaks once a week in the gym at Gosford Hill School in Kidlington, Oxford. On leaving school he landed a place at the Rose Bruford College of Speech and Drama in 1971, where he spent three years studying to become an actor. He worked extensively in repertory theatre and appeared in a number of television productions such as ‘Doctor Who’ (BBC) and ‘Shackleton’ (BBC); he also performed his one-man show ‘Zima Junction’ at literature festivals and theatres in the 1970s; a dramatisation of the poem by the Russian writer Yevtushenko. 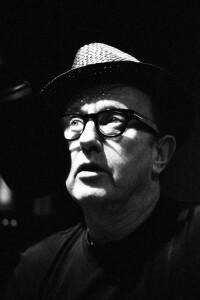 Rodigan began his reggae broadcasting career in 1978 on BBC Radio London. He moved to Capital Radio in 1979 and remained there for eleven years broadcasting his legendary ‘Roots Rockers’ show every Saturday night. His credibility was ensured when he began clashing with Jamaica’s champion DJ, Barry G on JBC Radio in Jamaica. He then went on to clash with all the top Jamaican sound systems in the West Indies, the USA and England and in 2012 he won the ultimate clash victory when he took the Champion Trophy at World Clash Reset in New York. In 1984 he joined BFBS (British Forces Broadcasting Corp) where broadcast his weekly reggae show for 25 years until 2009. In 1990 he joined the newly legalised Kiss 100 where he presented a variety of daytime shows for 10 years before kicking back to his weekly reggae show, which he broadcast for another 12 years until 2012. Having seen his show reduced from 2 hours to 1 hour in 2011 he resigned in protest at the marginalising of reggae music when the show was re-scheduled into the twi-light zone of broadcasting, midnight – 1am in November 2012. In February 2013 he joined the BBC to present a new weekly reggae show on Radio 1Xtra on Sundays between 7 and 9pm and also a summer season of classic ska, rock steady and reggae on BBC Radio 2. In 2005 he was inducted into the Sony Radio Academy Hall Of Fame and has also won three highly coveted Sony Radio Academy Gold Awards; The Music Broadcaster Of The Year. (Kiss 100 – 2004), The Specialist Music Broadcaster Of The Year (Kiss 100 – 2009), The Specialist Music Broadcaster Of The Year (BBC Radio 2 – 2012), and in 2012 he was awarded the MBE for “services to broadcasting” at Buckingham Palace. At Easter in 2012 he won the highest honour in reggae sound system culture by winning the World Clash Re-Set contest in New York against opponents, Bass Odyssey, Black Kat, Tony Matterhorn, Fire Links, Earth Ruler and Poison Dart. He was the given the honour of being made a Fellow of Rose Bruford College in 2017. He plays his unique collection of customised dub plates and classic recordings extensively across Europe, especially in Italy and Germany, and in North America and the West Indies, to loyal reggae fans worldwide. All content © Rodigan's Reggae 2019, unless otherwise noted. All Rights Reserved.